Monkhouse (1928-2003) became particularly famous for his TV game show presenting skills – such as Celebrity Squares and Family Fortunes. When he came out of the RAF in the late 1940s his first involvement with making people laugh did not involve the stage, radio or early TV however, but the world of comics. As a man who knew how to draw and how to write, with his superb comic timing, he found work doing the scripts and even drawing for comics in the 1940s-50s. His career developed into scriptwriting and TV work but he never forgot his comic book roots and indeed became one of the foremost comic collectors in the UK. 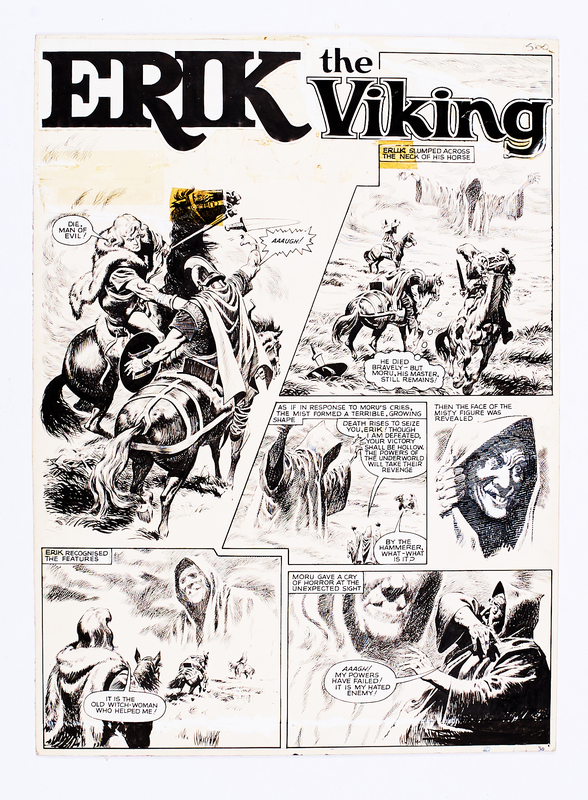 This early interest is highlighted by a timed auction starting on November 14 and ending on November 25 being held by Comic Book Auctions (CBA). CBA owner Malcolm Phillips got to know Monkhouse over the years as a buyer and has been entrusted by his estate to disperse some of his amazing collection across a series of larger auctions over the past four years. 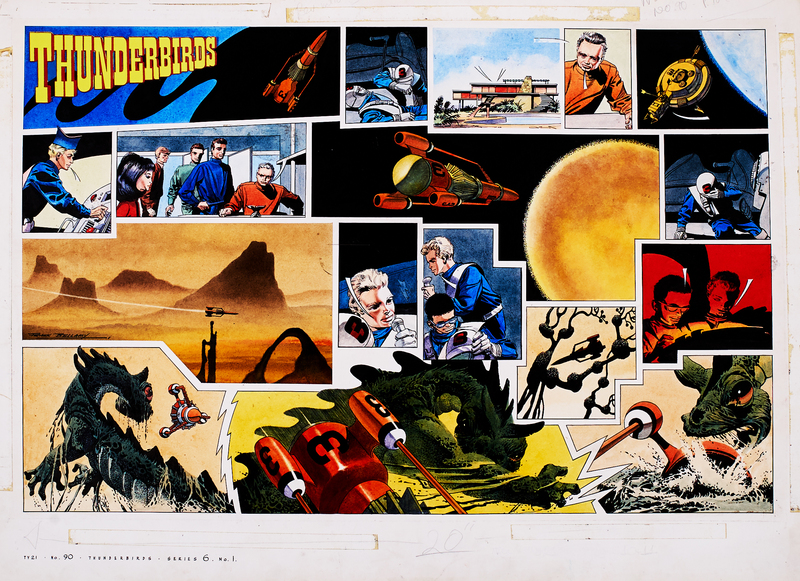 This latest slice focuses on original comic artwork collected by Monkhouse rather than the comics themselves, and his name itself creates a premium when items from his collection are offered, such is his reputation among collectors. 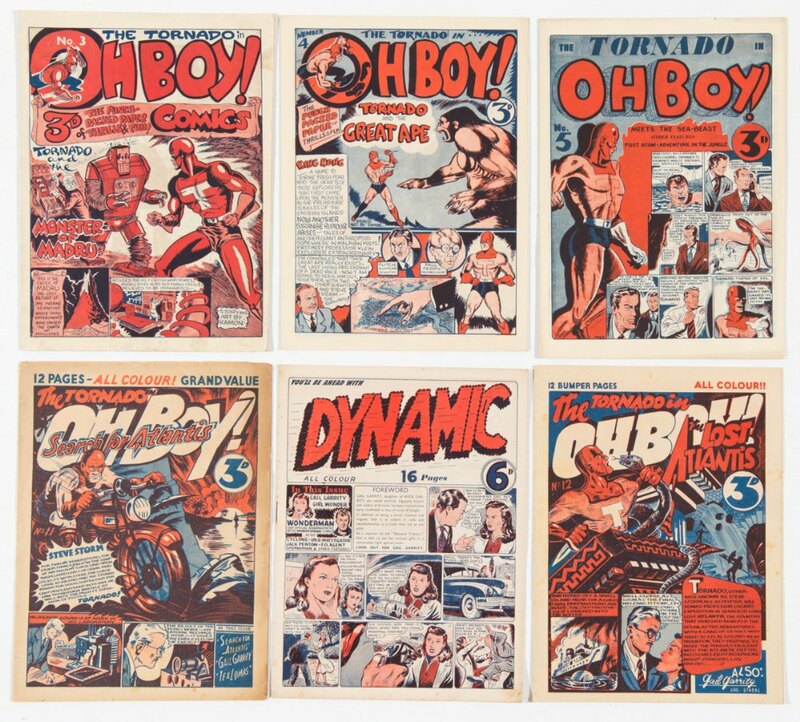 When it comes to Monkhouse’s own comic productions, Philips adds that what put him on the map with collectors were two titles called Oh Boy! and Wonderman. “That’s where he often signed his work RAM [Robert Alan Monkhouse].” Another alias was used: some drawings would be signed ‘Ramon’. As his wider career progressed Monkhouse kept in touch with artists who drew comics and was “an avid reader, he knew a lot of the artists who are famous”. 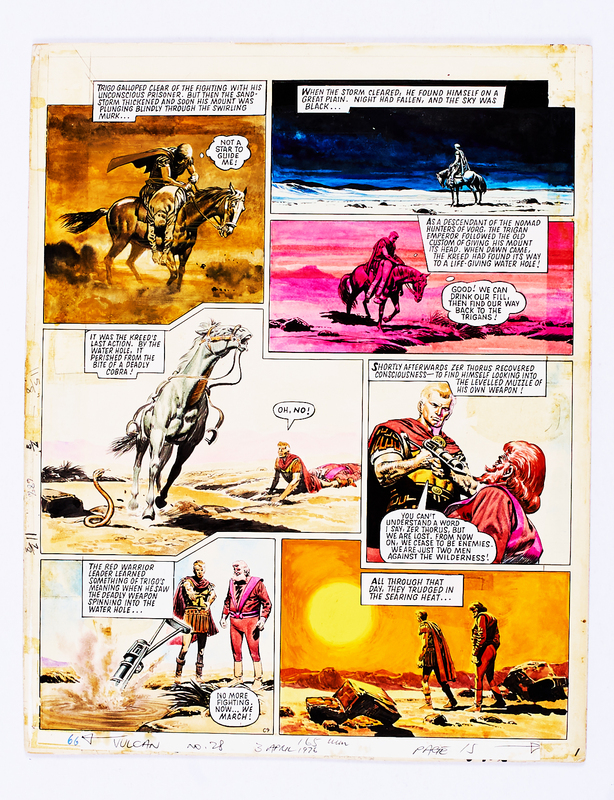 Hampson is best known as the creator and artist of Dan Dare, while Bellamy is renowned for his work on Eagle comic – later reworking the flagship Dan Dare strip. 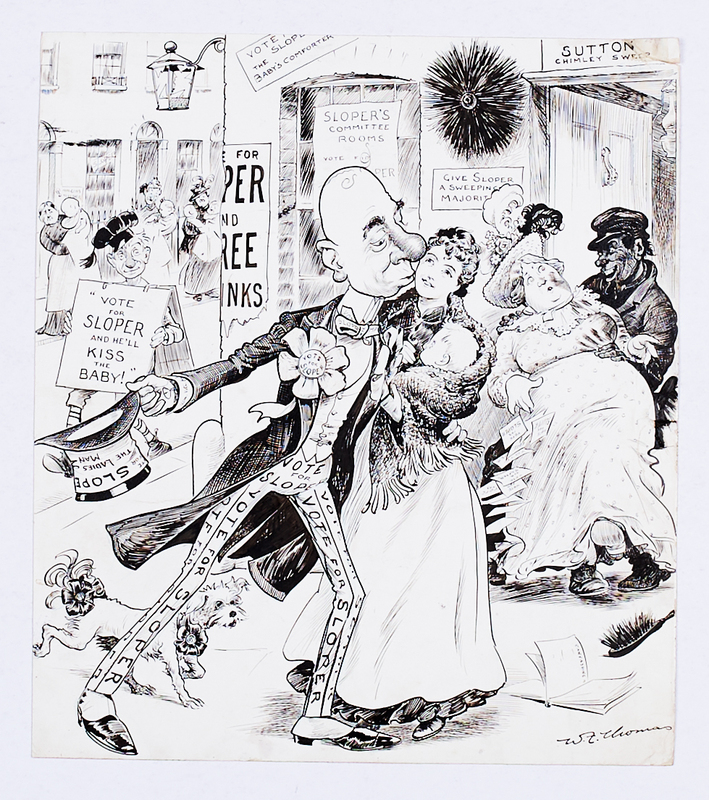 Phillips says that the nature of the British comic collecting scene means that it is better for a saleroom to disperse works over several sales rather than in one big dedicated auction. “It is a much, much bigger collecting area than it used to be, but for argument’s sake, if you compare it to the US or to mainland Europe where they have Angouleme for example, the international comics festival once a year, the comic artists are much more widely revered and achieve much higher prices than in the UK,” he adds. 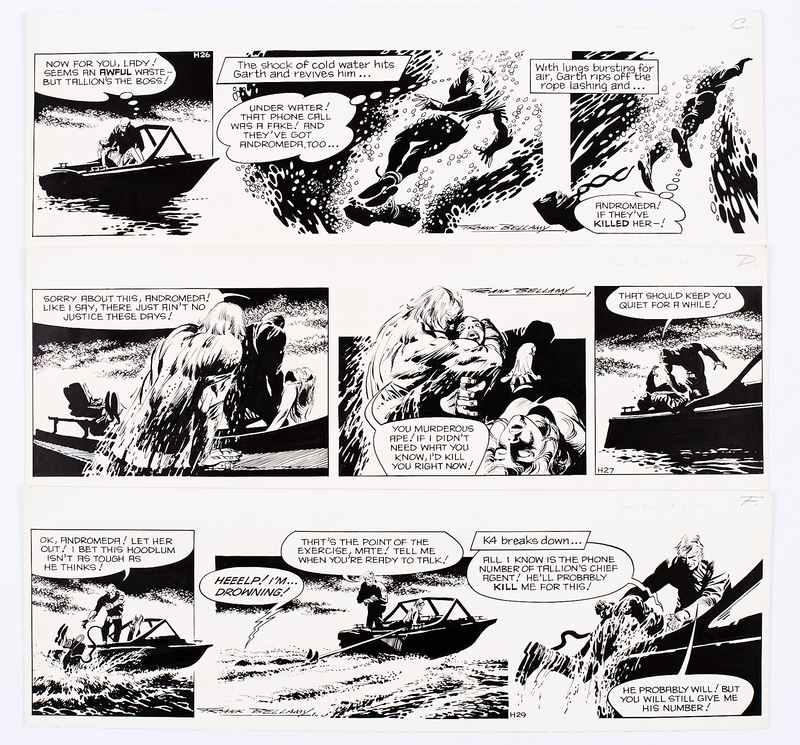 “You can’t put too many pieces into one auction catalogue, otherwise you don’t get the concentration of interest because collecting comic artwork and paying sums for it perhaps into four figures is not the norm in British collecting – a few are well-heeled and will collect anything for any price but I don’t have an elitist attitude. 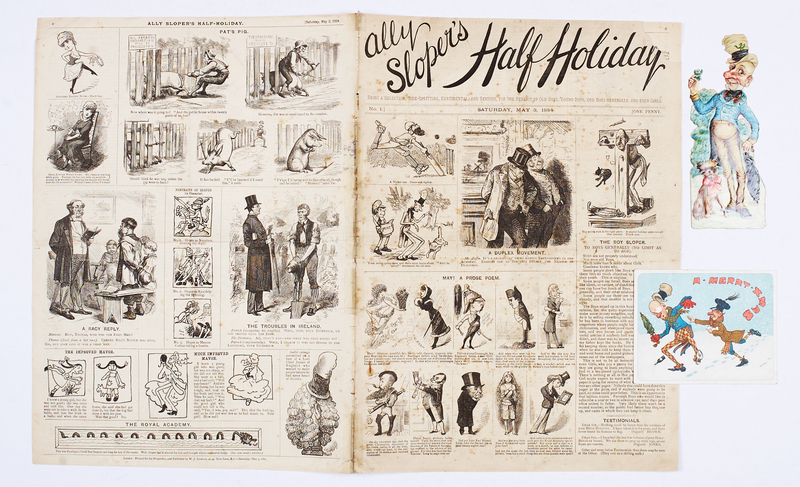 See accompanying illustrations for some auction highlights. In a timed auction in May this year CBA sold copies of Oh Boy! from 1948 (nos 3,4, 5, 11, 12) published by Paget, which featured art and lettering by Bob Monkhouse. Together with a copy of Dynamic comic, they made £460 (estimate £90-130). 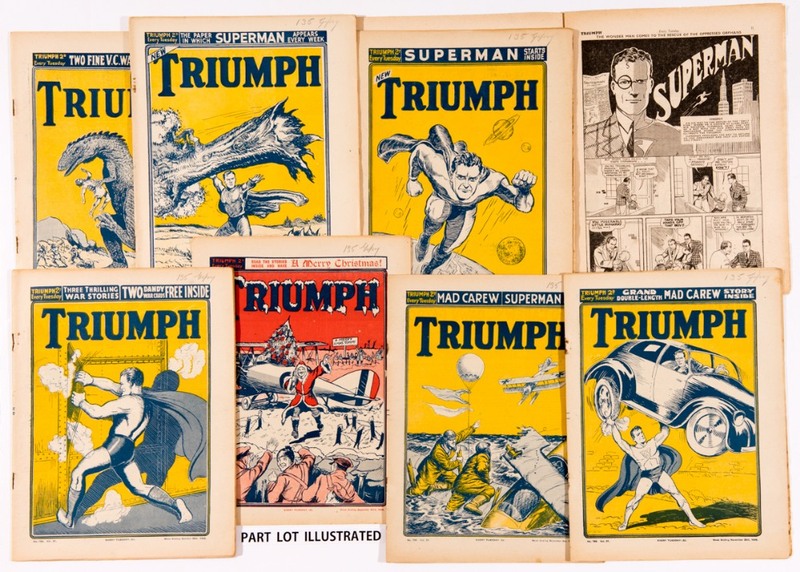 An example of one of the previous lots sold from the Bob Monkhouse Archive offered by CBA was Triumph/Superman (1939) nos 771-792 – the Superman run. It sold for £1220 (estimate £700-800) in December last year. These reprints of Superman, with four Superman covers by UK artist John McCail, were the first time the superhero appeared in the UK. The character made his US debut a year before in Action Comics. Although he never met Monkhouse face to face, Philips says he knew him quite well from his dealings in the comic collecting scene. “He bought a considerable amount from us in the early years. He was this fantastic gentleman on the telephone, always with this dry wit, not to tell you a story to make you laugh but just a very fresh guy. His TV personality was this slick entertainer but he was nothing like that in real life, just a genuine fan and collector and respected everybody in the business.